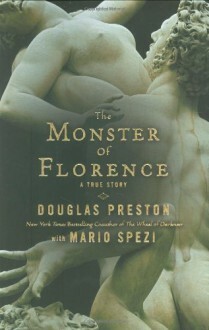 In the nonfiction tradition of John Berendt ("Midnight in the Garden of Good and Evil") and Erik Larson ("The Devil in the White City"), New York Times bestselling author Douglas Preston presents a gripping account of crime and punishment in the lush hills surrounding Florence, Italy.In 2000, Douglas Preston fulfilled a dream to move his family to Italy. Then he discovered that the olive grove in front of their 14th century farmhouse had been the scene of the most infamous double-murders in Italian history, committed by a serial killer known as the Monster of Florence. Preston, intrigued, meets Italian investigative journalist Mario Spezi to learn more. This is the true story of their search for--and identification of--the man they believe committed the crimes, and their chilling interview with him. And then, in a strange twist of fate, Preston and Spezi themselves become targets of the police investigation. Preston has his phone tapped, is interrogated, and told to leave the country. Spezi fares worse: he is thrown into Italy's grim Capanne prison, accused of being the Monster of Florence himself. Like one of Preston's thrillers, The Monster Of Florence, tells a remarkable and harrowing story involving murder, mutilation, and suicide-and at the center of it, Preston and Spezi, caught in a bizarre prosecutorial vendetta. Yo me pongo a leer no ficción sobre asesinatos y me deprimo. Pero, después, igual agarro un libro nuevo del mismo género para el to-read.James Ellroy me arruinó.